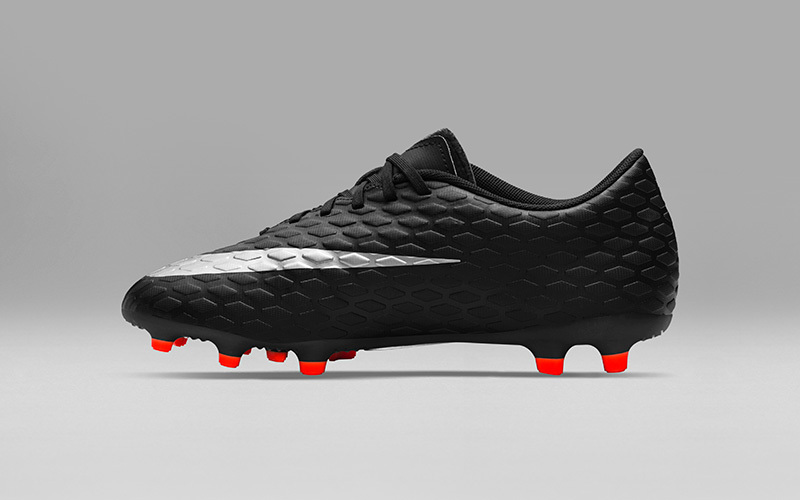 Nike’s Hypervenom 3 gets a stunning new black out look, just in time for Strike Night! 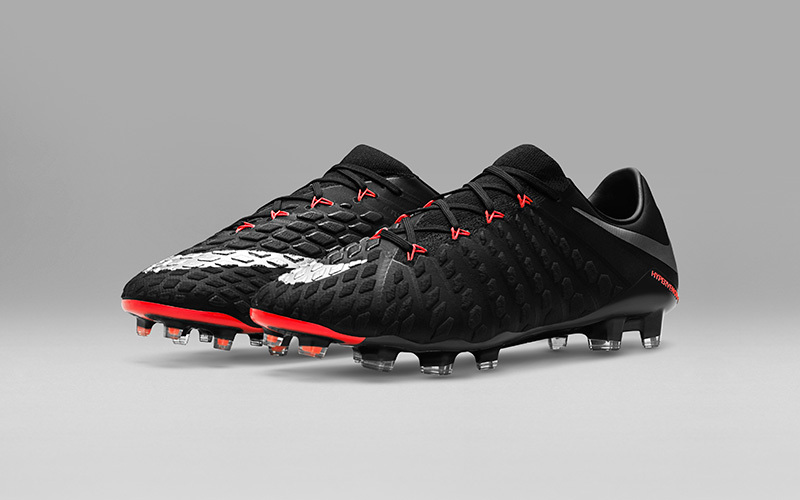 Made with strikers in mind, the new Hypervenom 3 arrived earlier this year to great acclaim. After initially being unveiled in a bold electric green and hyper orange colourway, today sees Nike’s latest creation revealed in a striking black colourway with silver and red accents. ‘Cut. Strike. 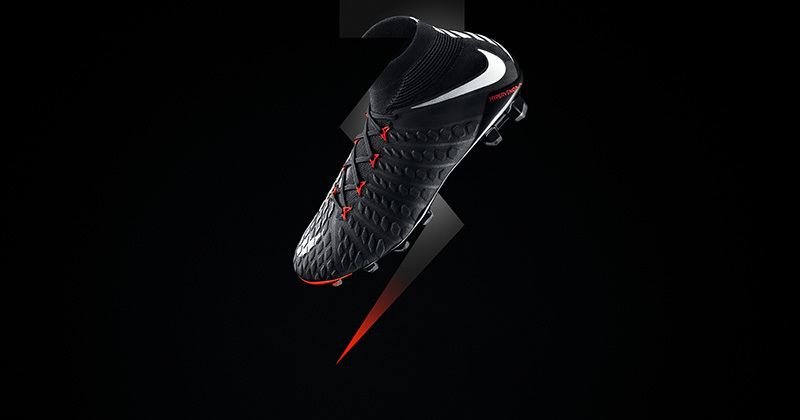 Score.’ is the mantra behind the new Hypervenom 3 - and Nike have certainly hit the back of the net with this release. With former Hypervenom hotshot Neymar making his way across to the Mercurial side, Borussia Dortmund goal-getter Pierre-Emerick Aubameyang is the man to step into his boots and showcase the Hypervenom’s silver tongued sharpness. And who better?! As a man who likes his bling, Aubameyang’s style on and off the pitch is the perfect match for this dazzling new colourway. The Dortmund striker has already notched an impressive amount of goals so far this season - and his form continues to see him linked with some of Europe’s biggest teams. With the Hypervenom 3 at his feet, we reckon there’s plenty more goals to come. All aboard the HV3 bandwagon! 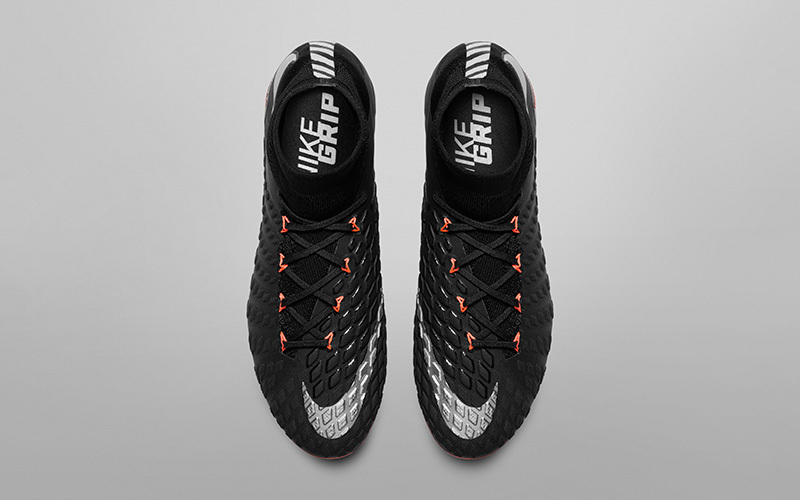 While this colourway may be somewhat more restrained, the black out Hypervenom comes with the same remarkable high-end tech we saw with the boots initial release. 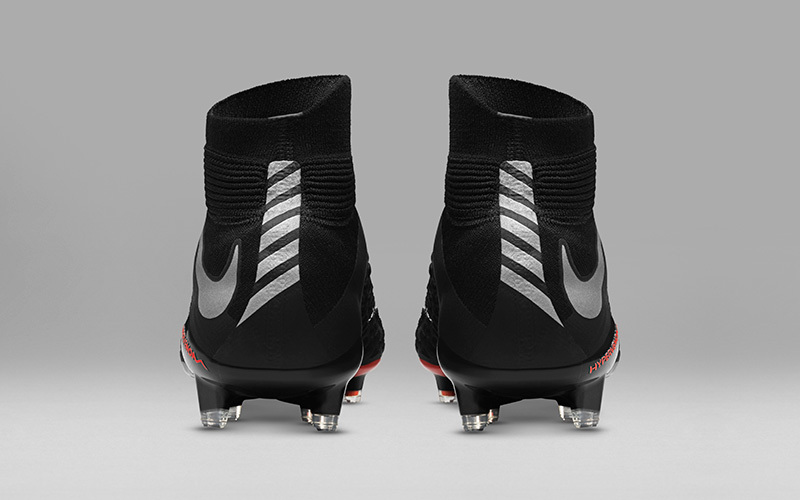 An all new Flyknit upper replaces the Nikeskin of previous generations - providing superior lockdown and agility. The Hypervenom 3 also saw the introduction of multi-layered Poron® foam pods - in this instance highlighted effortlessly by the striking silver Nike logo that extends across the boot’s upper. Though the foam pods may look like an aesthetic addition - they serve a vital purpose. Becoming rigid upon impact, the pods are intended to create a high-velocity strike zone - a forward’s dream, and quite frankly a goalkeeper’s nightmare! 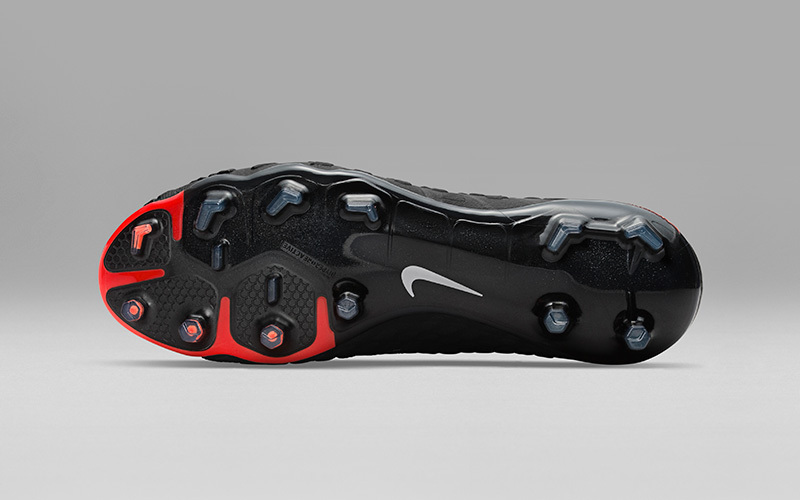 The Hypervenom 3 signalled the birth of a redesigned agility cuff on its Dynamic Fit Collar version. Offering support and flexibility, the construction is made to mirror the lateral cutting that ankles can be subjected to. Collars aren’t for everyone mind, just ask Harry Kane. The black out colourway also comes in a low-cut version from its top tier Phantom, to the lower tier Hypervenom Phade - meaning there’s a solution to everybody’s striking needs. You’ve really got no excuse to be missing!! 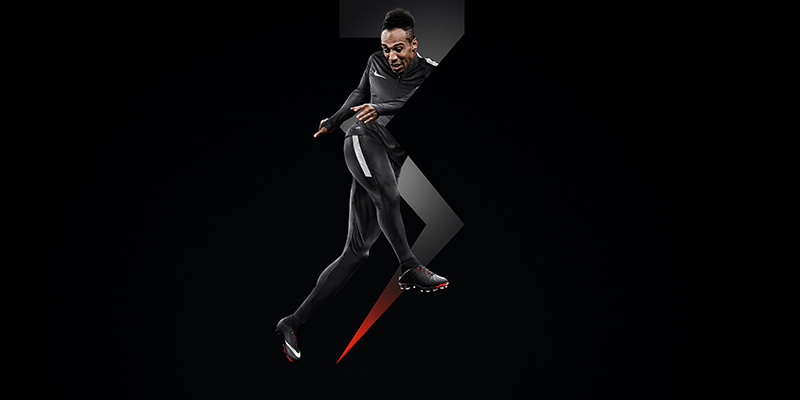 In tandem with the release of the Strike Night Hypervenom, eight of the world’s best strikers, including Pierre Emerick Aubameyang, will wear the boots to compete in Strike Night, a head-to-head finishing competition, that will be held in London on March 1st. There can only be one winner! At FOOTY.COM you can get in on the hype at the best prices available. From the top tier boots to the more affordable models available, you’ve got every opportunity to start banging in the goals à la Aubameyang and co. Time to finish it!